WHILE PANDY AND the Princesses are here with her, Little Em is also anxiously waiting for her other toys being shipped, things that would help her feel at home and be at home. 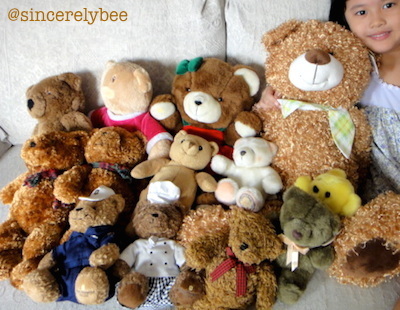 Part of Little Em’s teddy bear collection taken before they were packed away into boxes for shipping. 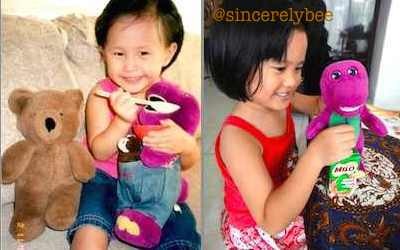 Both girls with their first teddy given when they were a child. Besides teddy, they used to love Barney too. 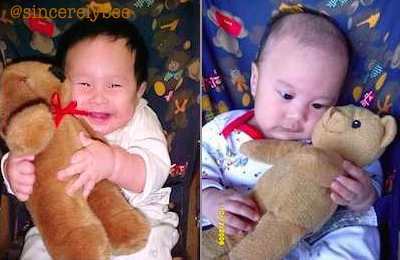 My siblings and I had a teddy too, which our parents bought when I was a year old; Big M had a photo taken with it 10 years ago in 2004. 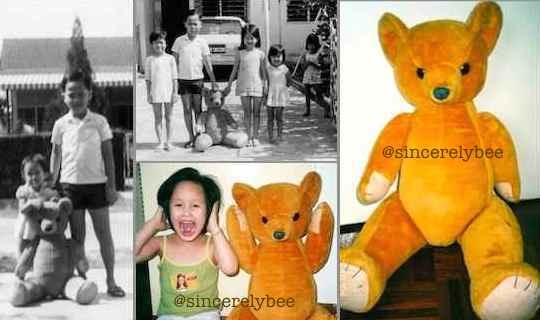 That teddy survives till this very day, as old as me, yet in mint condition as if it was just bought yesterday! This entry was posted in African Adventures, Happy at Home, HK Missy and tagged Home, Kids. Bookmark the permalink.